...bet you can't beat it.. Okay, L & G, you smarty-pants. Now draw Homer with your keyboard. 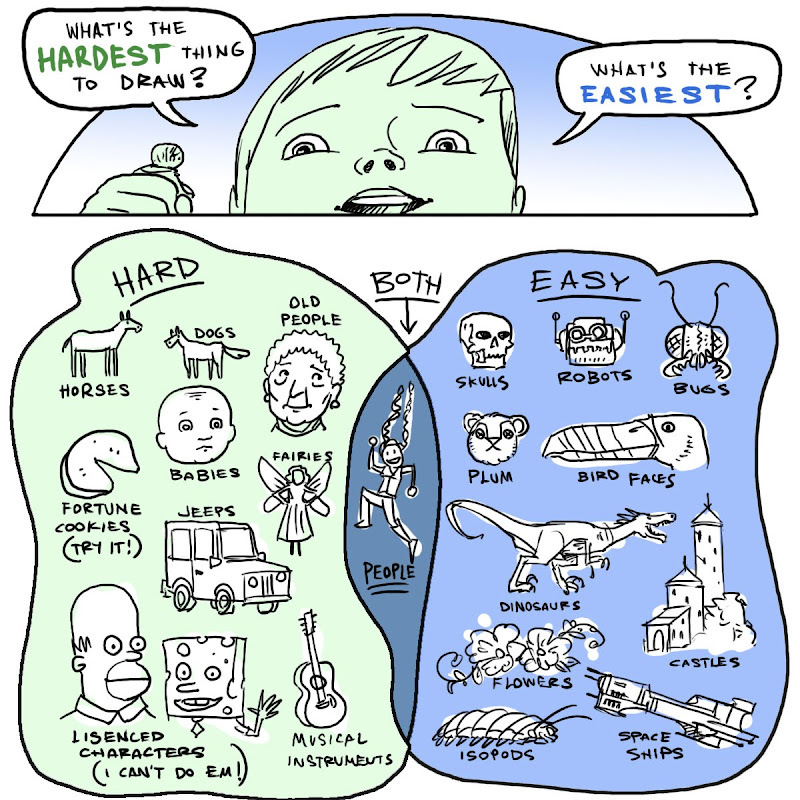 Also, Nate, the baby drawing, with you claim is "really hard" is either super-cute or super-creepy (the eyes! the eyes!). I can't decide which. Creepy-cute? The fortune cookie looks like it's smiling at me. . .
That was fun! :) I personally like your old person. She looks sweet. I want to sit down and listen to stories of her childhood. I called B&N to ask when they'd get Calamity Jack in. She said, of course, January 5th, but then she ordered two copies for me directly and we're hoping they arrive before then. I'll let you know what happens! Are you doing any more signings in Utah Valley before Christmas? I got a "Rapunzel" for a smooth $3.99 at the BYU bookstore (plus a storewide 20% discount... who could resist that?) for my nieces and I'd love to get it signed for them! Greg and Leigh--I'm not seeing the cookie. I see letters and the word cookie, OH WAIT. W-W-O-W I see it now! What an amazing trick! jw--Aren't all babies both creepy and cute? Juliana--$3.99!?! Yikes, BYU Bookstore, how many did they have? For that price I'll go buy some. I'm pretty sure I have some signing dates in the next few weeks. I'll be sure to post them to the blog when I know specifics. BYU buys remaindered books and sells them, even when there are in-print editions. THey are the only bookstore I have ever seen that does this (except those stores that only do that). I find it very odd, especially when they do it for author signings. I blush for shame when I see authors who have come to Utah from far away asked to sit at a table and sign remaindered books for two hours, for which they get 0 royalties. Weird.